AN ACCLAIMED SUMMER TRADITION For over 30 years, the Will Geer Theatricum Botanicum has provided a comfortable summer home for Shakespeare and the classics in its scenic, outdoor amphitheater in rustic Topanga Canyon - a unique venue surrounded by lush gardens nestled in the Santa Monica Mountains. The beginnings of the Theatricum Botanicum can be traced to the early 1950s when Will Geer, a victim of the McCarthy-era blacklist (before he became known as the beloved Grandpa on TV's "The Waltons") opened up a theater for blacklisted actors and folk singers on his property in Topanga. Today the theater is run by his family. The 299-seat amphitheater is situated in a natural canyon ravine, where audiences are able to relax and enjoy the wilderness in and around the stage area during an afternoon or evening's performance. The Los Angeles Times refers to the Theatricum as "Topanga Canyon's charmed and charming outdoor venue," and the Daily News adds, "It's hard to imagine a backdrop better suited to Shakespeare." "One of the region's outdoor theater treasures,”" says the Daily Breeze. And, indeed, the Theatricum was named one of the "50 Coolest Places in Los Angeles" by BUZZ magazine and is highlighted annually in Los Angeles magazine. "The place has converted many a theater-hater into a passionate devotee," comments the LA Weekly, expounding upon the Botanicum grounds and gardens, and "the enjoyment of picnicking outdoors on a summer night, then taking in any one of the highly memorable productions the Theatricum offers," which have included award-winning stagings of Shakespeare, Tennessee Williams, Arthur Miller, Shaw, Brecht, Ibsen, Moliere, Chekhov, Thornton Wilder and more. Theatricum Botanicum was chosen to receive the prestigious Margaret Harford Award - the Los Angeles Critics Circle's highest honorfor "sustained excellence," and artistic director Ellen Geer, Will Geer's daughter, is the recipient of an LA Weekly Career Achievement Award. 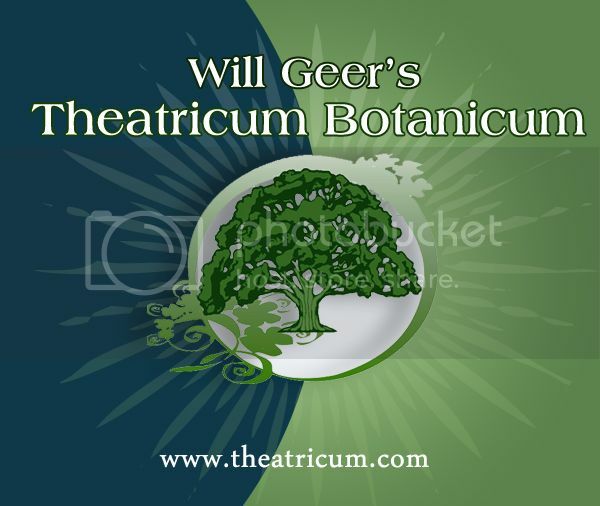 The Will Geer Theatricum Botanicum Summer Season runs from June until mid-October, featuring a selection of new and established classics (always with a play or musical suitable for even the youngest audience members) revolving in repertory around a Shakespearean favorite. In addition, during the summer months the theater plays host to concerts, readings, an alfresco music series for evenings of outdoor cabaret, and a variety of family entertainment, including interactive theater by Creative PlayGround and Peter Alsop's popular Kids Koncerts. The Theatricum's many in-house and outreach educational programs operate year-round. The amphitheater is terraced into the hillside of the rustic canyon, so audience members are advised to dress casually (warmly for evenings) and bring cushions for the stadium seating. The Botanicum's Hamlet Hut serves snacks, salads and sandwiches, and picnickers are welcome on the grounds before and after the performances. To purchase advance tickets, call the Theatricum Botanicum Box Office at (310) 455-3723. For more information on other programs and activities, call the Business Office at (310) 455-2322.